A rediculously thorough and up-to-date guide with charts, images, tables, stats, teacher interviews and fantastic content! Teaching in Korea was the most memorable experience of my life! First off, thanks for visiting! If you’re reading this then you’re probably thinking about teaching English in Korea. You’re not alone, more than 10,000 westerners from the US, Canada, UK, Australia, South Africa and New Zealand are teaching in Korea at this very moment. Most of these people will be returning home within the year and a new crop of teachers (maybe you) will be hired to replace them. Like a revolving door, this is the nature of the English teaching industry in Korea and around the world. There’s lots of information about this topic online, some of its good, some bad, some new, some old, some credible, some not, you get the idea, there’s lots info out there! This comprehensive guide summarizes all the important aspects (stuff you need to know) to trivial (but interesting) things about job opportunities and the industry itself. Most importantly, the information is backed by real sources, statistics and real experience in the field. We hope you like it. South Korea’s been one of the ‘go-to’ international English teaching destinations for the past 2 and half decades. There are many of reasons why Korea’s a great place to live and work but it basically comes down to 5 key things. Travel, cultural immersion, adventure, the lifestyle, etc. are also part of the draw – obviously – but these aspects are applicable to any overseas teaching destination. 1. Lots and lots of jobs! Korea hire’s more native English speaking teachers than any other country, on a per-capita basis. Full-time job opportunities are available for every student age level, from kindergarten to adults. 2. Unmatched benefits for first-time teachers: Korea offers the best benefits worldwide for first-time teachers who have no prior classroom experience and degrees in completely unrelated fields of study. Yes, you can make more money teaching elsewhere if you have an education major or teaching license but lets be honest, 95% of the people teaching in Asia don’t have education degrees. 3. Koreans are very western friendly! Similar to Japan, Korea shares the same core values as the west. Foreigners in Korea generally find local Koreans quite welcoming and eager to socialize. 4. Modern amenities are important, it just makes living abroad more comfortable. Although living standards in Korea aren’t on par with North America or Western Europe quite yet, they’re incredibly close and catching up every year. Modern stores with western products, excellent phone service, ridiculously fast internet, clean restaurants, and state of the art public transportation networks (which are much better than the West!) are just some of the aspects that make Korea a comfortable place to work abroad. 5. Safety can mean many things, but we’re specifically referring to public safety. 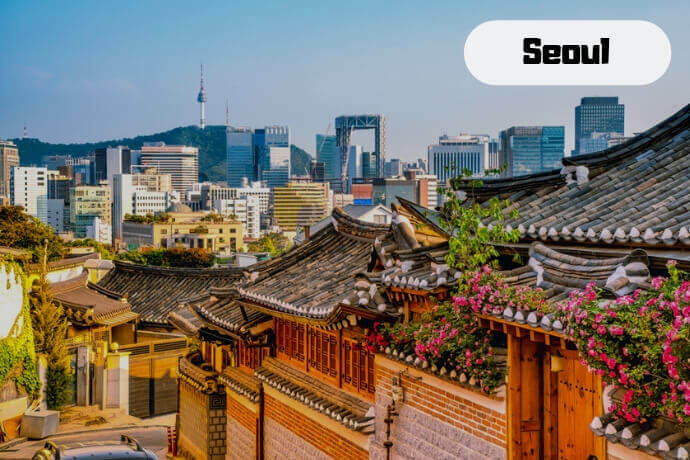 Believe it or not, South Korea’s one of the safest countries on the entire planet when it comes to violent crime rates. If you feel safe living in the US, Canada, UK or Australia then you shouldn’t have any problems feeling safe in Korea. Attaining high TOEFL (standardized Test of English as a Foreign Language) scores which are necessary for getting accepted into the top Korean universities and/or foreign universities in countries like the US, Canada and UK. English language education was first introduced to Korea in 1883, when the Joseon government opened an English language school in order to train interpreters. Although English education in Korea started more than 100 years ago, it didn’t go mainstream until the 1990’s. You can read Kim Eun-gyong’s article in The Korea Times if you’re interested in learning more about the history. The timeline below highlights the pivotal points of the English teaching industry from 1995, when the State first prioritized English as an important subject, to present day. English education in South Korea took flight in 1995. The English Program in Korea (EPIK) is created (initially called KORETTA) to encourage cross cultural exchange and promote the development of English language competence with Korean students. 54 EPIK teachers were hired in 1995 to work at the NIIED (National Institute of International Education Development) training center in Seoul. The Ministry of Education introduces - and begins publishing - comprehensive English textbooks for the first time, with the purpose of being used in the national curriculum. A noticeable shift in foreign language education policy. Private English academies, known as hagwons, begin popping up everywhere. Enormous demand for foreign teachers + lack of government regulation = off the rails industry. Unregistered schools, salaries paid in cash, teachers working on tourist visas, no background check requirements, rampant fraud (teachers submitting fake online degrees was common), the list goes on. This was the era of unregulated English education in South Korea. The Korean government starts cracking down on bad actors. Unregistered hagwons begin to close and new requirements for foreign teachers applying for work visas, such as background checks and degree verification measures, are put in place. Inspired by President Lee Myungbak, the Teach and Learn Korea (TALK) Program is created with a mission to strengthen English education in rural areas by giving young students the chance to interact with a native English speakers. After more than a decade of growth, the native English teaching job market finally peaks. 2011 was the year Korean Immigration issued the most E2 work visas. The number of foreign teachers being hired begins to contract for the first time (primarily in the public school system). Budget cuts, a renewed emphasis on Korean English teachers, a slowing economy and a realization that 1 foreign teacher per public school simply wasn't effective, were all contributing factors. Korean public schools hired 8,500+ foreign teachers in 2012, by 2016 the total number was down to 4,962. Worth noting: The private school sector remained strong during this period. We're not economists but it appears as though the Korean English language education (ELE) industry reached the mature stage. Do I need to speak Korean in order to teach English in Korea? No, speaking Korean isn’t necessary for job purposes and most people who go over do so with very limited knowledge of Hangul (Korean language). Having some basic Korean language skills will surely come in handy in day-to-day life, but it’s not a prerequisite for landing jobs or acquiring a work visa. There are 5 prerequisites everyone must meet in order to qualify for positions as a foreign native English speaking teacher. FYI: Being eligible for a work visa is not the same as being eligible for a job. Every private school has their own in-house requirements; some will only hire education majors, others will only consider candidates with prior teaching experience, and so on. Similarly, additional credentials are needed for a large percentage of opportunities. As an example, all public school positions require candidates to be TEFL or TESOL certified, without a TEFL qualification you won’t qualify. Refer to the next section for details. You will need the following documents to apply for jobs with Korean private schools. You’ll also need to complete an EPIK application form and provide two reference letters from professional or academic sources, if you’re pursuing public school positions. The following documents are needed when you’re ready to apply for your work visa. Is TEFL / TESOL necessary for teaching in Korea? Just to be clear, Korean employer requirements are different than work visa requirements with the Korean Immigration Office. 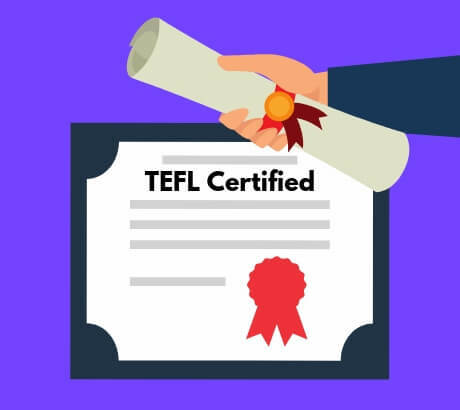 Having a TEFL or TESOL credential is not a Korean Immigration requirement, meaning, you can apply for a work visa without being TEFL certified. However, TEFL is compulsory for many (most) teaching jobs with Korean schools, programs and education offices (i.e. the employers). For starters, having a TEFL certification (120 hours minimum) is a basic requirement for all public school positions with the education offices and EPIK Program. TEFL isn’t a prerequisite for all private school positions but schools clearly prefer candidates who have basic knowledge of English teaching fundamentals, which is exactly what TEFL courses offer. In summary, it’s definitely needed for most opportunities. There are many kinds of teaching jobs in Korea; public elementary/middle/high schools, private elementary/middle/high language academies, kindergarten programs, after-school programs, summer and winter camps, international schools, universities and corporate teaching jobs are just some of the opportunities available. That being said, most western graduates teach in the private sector with academies, or after-school programs, which cater to K1, elementary and middle school students. This sector, along with the stated student age range, constitutes to largest percentage of the job market by a long shot. Public elementary and middle schools are the second biggest employers of native English instructors. Jobs at the high school level do exist in both sectors but on a much smaller scale. If you’re a qualified candidate (valid teaching license or education major) then you’ll have the chance to explore some of the higher end jobs with top universities, colleges and international schools. Note: These types of jobs are limited and highly competitive; often requiring rock solid references and in-person interviews. Referred to as hagwons in Korea, private schools are sometimes called language schools, English academies or after-school programs. These schools cater to every student age group; kindergarten, elementary, middle and high school. Public schools operate at the provincial level with federal oversight. These schools are publicly funded and use a national curriculum. Most public school jobs (for westerners) are with elementary and middle schools. Public high schools rarely employ foreign teaching staff. Adult language schools are essentially hagwons. Most operate as franchises, such as Berlitz and YBM, with branches in various locations. These jobs are predominantly found in the major city centers. Most Korean universities employ foreign teaching staff. Positions at these institutions are limited and highly competitive. Similar to i-schools, teachers who work at colleges and universities require an E1 visa instead of the E2. International schools are the top jobs in Korea. Great benefits, long vacations, high pay and state of the art school facilities are common place. As you can imagine, these jobs are ridiculously competitive! Many business managers at big companies like Samsung, LG, Hyundai, and the like, need to know basic English and western business etiquette. There isn’t an abundance of corporate teaching jobs available but they do exist. There use to be numerous public school programs in Korea (GOE, IMOE, JOE, GEPIK, SMOE, etc.). These programs were essentially just Education Offices who decided to recruit and hire English teachers independently (through recruiting offices) for the schools within their jurisdiction. Over the years EPIK has absorbed the recruiting responsibilities for these former programs and today almost all public school job applications go through EPIK in one way or the other. What is EPIK? EPIK is an acronym for ‘English Program in Korea’. EPIK is a government office, under the Ministry of Education, tasked with the responsibility of supplying the Education Offices with foreign teaching staff. To be perfectly clear, EPIK does not employ western teachers; teachers are employed by the respective Offices of Education which are listed below. What is SMOE? SMOE is an acronym for ‘Seoul Metropolitan Office of Education’. SMOE was never really the name of a program, it just got labeled that way because they had an in-house recruiting department. SMOE eventually merged with EPIK so people pursuing jobs with the SMOE (public teaching jobs in Seoul) need to submit an EPIK application. What is TALK? TALK is the acronym for ‘Teach and Learn Korea’. This program was created to bring native English speakers to the rural areas and countryside of Korea. One of the great things about TALK is the fact that candidates don’t require a BA to qualify. What is GEPIK? 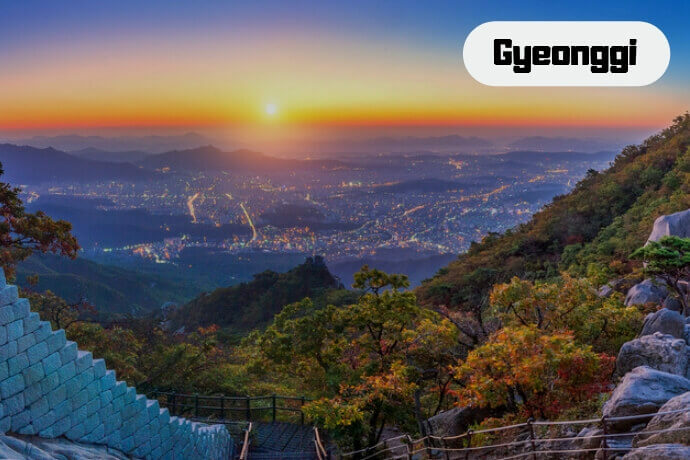 GEPIK is the acronym for ‘Gyeonggi English Program in Korea’. GEPIK quickly gained a reputation for being disorganized because they allowed third party agencies to work directly with individual schools. The result was mixed at best, and many people didn’t know where to apply or what they were applying for. Similar to SMOE, GEPIK was eventually absorbed by EPIK. The private school sector is much bigger (in terms of total foreign teachers hired) than the public school sector. Almost all private schools are franchises, some are operated by corporate head offices but most operate as independent businesses (i.e. franchise owners). There are 3 major private school chains in Korea: Avalon English, Sogang Language Program (SLP) and Chung Dahm Learning. When combined, these 3 franchises (the Big Three) alone operate 400+ school campuses all of which are responsible for educating hundreds of thousands of students from kindergarten to high school. As you can imagine, these 3 language schools employ thousands of foreign teachers in every corner of the country! Some of the other franchises not listed below include: Topia English Zone, Ewha’s Language Schools, English World, Lykeion Language Schools, Lotis, Reading Town, Kids College and Kids Club. Avalon English caters mostly to elementary and middle school students. 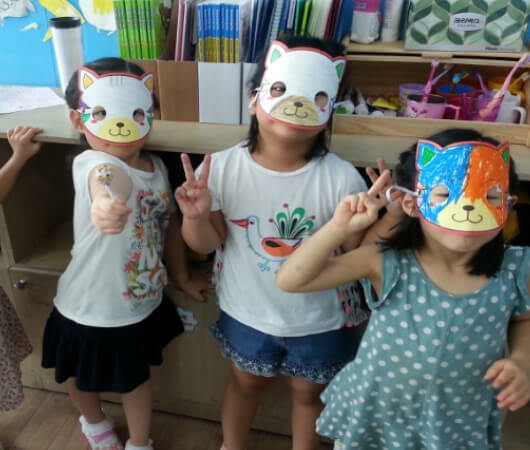 Sogang Language Program (SLP) caters to K1, elementary and middle school students. Chung Dahm Institute caters to late elementary, middle and high school aged students. ECC is part of YBM education. They cater to K1, elementary and middle school students. Little America schools cater to K1, elementary and middle school students. Wonderland schools caters to kindergarten, elementary and middle school students. April is a Chung Dahm brand that caters specifically to early elementary aged students. POLY schools cater to elementary school and middle school students. Bertlitz is the biggest chain or private schools for adult language learners. Pagoda schools cater to elementary and middle school aged students. There are full-time teaching opportunities to pursue year round but most schools do their hiring at certain times. 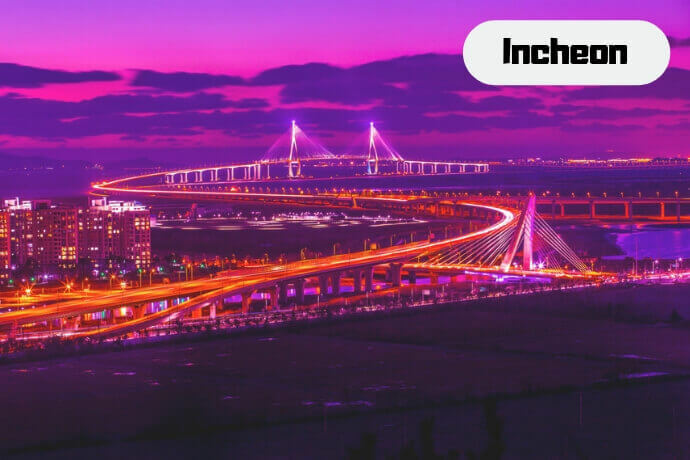 As mentioned in the beginning of this article, the competitive benefits packages schools offer is one of the biggest draws to working in Korea. Whether you’re fresh out of university, or a seasoned teacher, Korean employers offer some of the best perks on the planet! Here’s a quick look at some of the most important benefits you’ll receive. The salary you qualify for depends on a few things: what you majored in during university, if you have any prior classroom teaching experience, whether or not you’re TEFL certified and the kind of jobs you’re going after in Korea. Private school tuition rates (what parents pay for their child to attend) is regulated by the federal government. The government put ‘caps’ on private school tuition fees to ensure the ‘English language business’ didn’t turn into something only wealthy families could afford. Public schools face a different obstacle. Salaries are set by the Ministry of Education in coordination with the different Education Offices. As you can imagine, public Education Offices have budgetary constraints, therefore, they can only offer so much. So, let’s get to the point most people care about most! How much money can I bank over the course of a year? There’s isn’t a clear-cut answer to that because it really depends on your salary, spending habits, the lifestyle you want to live and even where you’re living. For example, living in downtown Seoul is a wonderful place to live, but it’s also the most expensive place to be. Most foreign teachers are able to save $1000 USD (KRW equivalent) every month with a salary of 2.1 to 2.2 million KRW. The biggest money saving factor is the rent free living. You’ll need to cover the utilities fees but these are quite manageable and won’t cost more than 180,000 KRW per month. That leaves you with 2.0 million KRW (give or take) for necessities such as food and transportation. Unless you’re buying exotic imported foods on a regular basis, Korean food is pretty cheap. So where do westerners spend their money? Weekend travel and socializing are the two big ones! Recruiters control most of the market but there are other ways to pursue and land teaching gigs in Korea. The term ‘recruiter’ seems to get a bad wrap online. Some of the criticism is surely warranted but lets be honest, there are honest and dishonest people in every profession. In the end some recruiters are more transparent than others. Because of the negative connotation attached to the ‘R’ word – recruiter – some companies changed their marketing tactic and started using the word ‘program’ as an alternative. Teach abroad ‘Programs’ offer the exact same, literally identical, services as a recruiter does. The only difference…they charge you a fee! Instead of interviewing tips and advice they offer ‘interview coaching’, instead of assistance they provide ‘support’, instead of presenting you with job offers they present you with ‘opportunities’, you get the idea. When you’re searching for jobs at home or abroad your primary objective is – it should be anyways – to find the best job possible. When it comes to searching for teaching jobs in Korea you don’t need to pay a program for it, seriously! Need a break from reading? Korean students already have a hard time learning English as a second language. It’s rather difficult for students, especially young learners, to grasp a foreign language when they have to adjust to new teachers with different teaching styles each semester. This adjustment period is even greater when new teachers have different accents. Basically, many Korean schools find it easier to keep hiring foreign teachers with similar accents because it’s easier on the students. Note: Preferences for hiring teachers with North American accents is more prominent in the private school job market than it is in the public school one. The best location obviously depends on your personal preferences. That being said, we know what locations are in high demand based on the number of requests from former teachers. School contracts are rather standardized these days. Some employment contracts are more detailed than others but stipulations are generally the same. Are westerners allowed to negotiate contract stipulations with schools? Not really, we’ll explain why. Public school teacher contracts are with the Education Offices, not individual schools, therefore, each teacher signs the exact same MOE or POE contract. Private language schools (hagwons) use their own contracts which templates that typically come from head office. Because private schools employ numerous western teachers the management can’t grant special privileges to individuals (i.e. giving one person a better deal), it would simply cause too many disputes between co-workers. The only aspect of the contract which is negotiable – sometimes – is monthly salary. Traditional Korean culture is deeply rooted in Confucianism. This culture extends to all aspects of Korean life from family and friends, to social norms and right into the work place. The quickest way to explain Korean work culture, this is a nutshell summary after all, comes down to one cardinal rule – hierarchy. This means age supersedes experience in the workplace 9 times out of 10 and something as simple as greeting fellow colleagues in the ‘wrong order’ can be seen as a sign of disrespect. It also means workers rarely question their superiors, even when they know their bosses’ decisions are counterproductive. It’s essentially a ‘rank and file’ system whereby higher-ranking personnel rarely feel any form of push-back from lower ranking employees. Korean’s work hard! Like really, really hard! 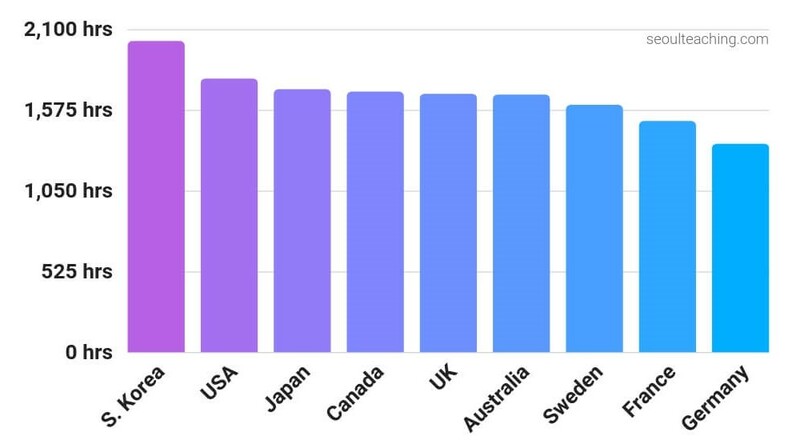 Unfortunately Koreans have earned the undisputed title of longest and hardest working people in the industrialized world. As of this writing, South Korean citizens work more hours annually than any other developed 1st world country. It’s common for workers to feel obligated to show up early, or leave a little late, in order to demonstrate their commitment. This may sound crazy to some, but in many cases the appearance of hard-work is more important than the individual’s productivity! The chart below illustrates the difference in annual work hours with other developed OECD countries. Things are changing. 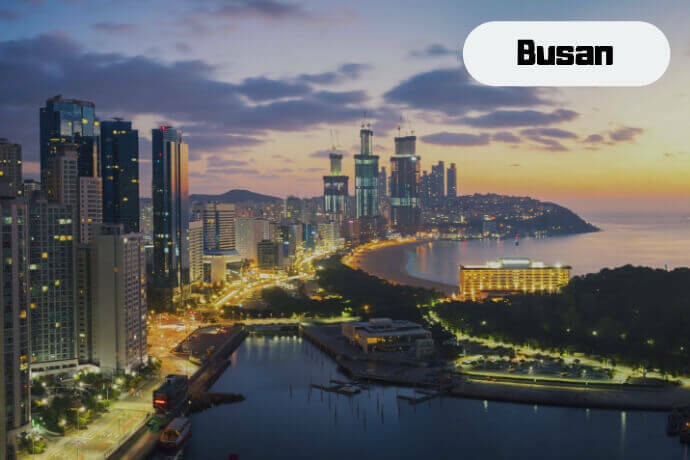 In order to create a better work-life balance for its citizens, the Korean government enacted a new labor law in the summer of 2018 which effectively dropped the maximum number of workweek hours from 68 to 52. The law is applicable to all state-run agencies and businesses with more than 300 employees but smaller businesses are expected to follow suit. In order the drive the message home, the Korean government issued warnings which state that employers who make their employees work more than 52 hours per week will face up to two years in prison or fines up to 20 million KRW. We’d be lying if we said discrimination doesn’t exist. To be clear, it does. It’s fair to say a noticeable number of Korean employers (school directors, hiring managers, program reps, etc.) have preferences for Caucasian teachers over other ethnicity’s. This isn’t the case with every school and program but it is a noticeable reality based on their hiring practices. Why do some schools discriminate? Stereotypes and ignorance are the most likely culprits; not sure how else to say it. Luckily, South Korea is evolving and their view of the outside world along with it. Teaching jobs in Korea are generally available to younger adults. Korea plays the ageism card quite diplomatically. The EPIK Program, an office created by the Ministry of Education, says rather candidly that anyone under 62 years of age, which happens to be the retirement age of Korean teachers, can apply for teaching positions. However, the reality of their hiring practices are quite different. Finding a job and landing a work visa can prove difficult if you have a physical or mental condition. There are two reasons for health related issues; schools worry that your condition may act up in the middle of the school year. In which case you may decide to return home before the end of your contract term is finished, thus leaving the school with the cost and burden of finding a replacement in the middle of the semester. Secondly, the government views it as an added stress to the health care system, which need Mental health is also required and those who are currently taking medications for anxiety, depression or bi-polar will find it hard to secure a work visa. Our advice, if you suffered from anxiety or depression in the past, but are fine now, then it’s in your interests to leave that information to yourself. If you have any charge or arrest appearing on your criminal record check then you’re out of luck…it will be next to impossible to work in Korea unless you have the charge completely expunged from your record. FYI: Speeding tickets and traffic violations won’t impede your application, no worries there! Everyone eventually needs to conduct a formal interview with a Korean hiring manager, school director or program official. Some interviews are more intense than others but you’re still be judged one way or the other. The job of ‘teaching English as a foreign language’ requires effective communications skills in order to be help students develop their speaking and listening skills. That means you’ll be talking… A LOT! Therefore, employers will need to know you have the ability to Being really shy, introverted or have difficulties communicating will have an impact on the job offers you receive. South Korea hires more foreign English teachers than any other country? Korea hires the most foreign English teachers per capita, but not the most overall. 50% of the entire South Korean population lives in the Greater Seoul Metropolitan area? 2018 estimates list the Seoul Metropolitan area population at 25.6 million. The population of South Korea: 51 million. Koreans spend more than $20,000,000,000 (20 billion) a year on private education. Korean parents are one of the worlds biggest spenders, as a percentage of their income, on their childrens education. The Korean flag has 4 colors: red, white, blue and black? The white background flag has a red and blue Taegukgi symbol in the middle, surrounded by 4 trigrams which represent the four classical elements. South Koreans are already 1 years old on the day they are born? Koreans believe you are one year old at birth, since you already spent almost one year in your mother’s womb. The number 8 is the unlucky number in Korean culture? Korea does have an unlucky number but it isn't number 8. Number 4 is the most avoided and unlucky number in Korea. Teaching is regarded as a prestigious profession in Korea? Classroom teachers are highly regarded and teaching is a prestigious profession. Over 20% of South Korean citizens have the last name Kim. Yes, a whopping +20% of South Koreans are Kims. Park and Lee come in 2nd and 3rd respectively.